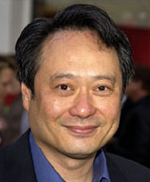 Ang Lee has won the Academy Award for best director for his "Life of Pi." Lee graduated from the University of Illinois at Urbana-Champaign in 1980 with a Bachelor of Fine Arts Degree. It is Lee's second Oscar. He previously won in 2005 for "Brokeback Mountain." He was also nominated in 2000 for directing "Crouching Tiger, Hidden Dragon." He becomes only the 19th director to win the honor multiple times. The other nominees Sunday night were Steve Spielberg ("Lincoln"), Michael Haneke ("Amour"), David O. Russell ("Silver Linings Playbook") and Benh Zeitlin ("Beasts of the Southern Wild").